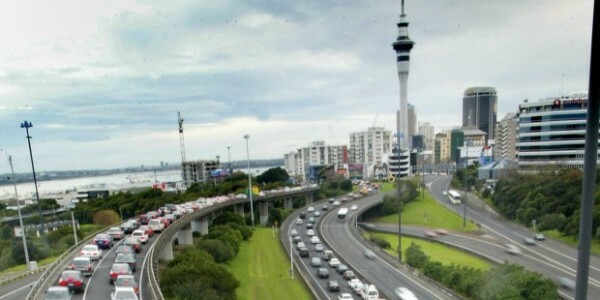 For the last few weeks here in Auckland the NZ Transport Agency has been running a “secure your load” campaign reminding both commercial and private vehicle users to tie down and firmly secure their loads when traveling on the motorway. I use the North Western motorway nearly every day and have seen the over the past few weeks numerous reminders by way of high visibility over head signs reminding all road users to secure their loads to avoid accident, damage or injury. Of course their marketing message has also had radio and television air time in an attempt to drive the message home. Today whilst heading home and traveling in the fast lane I spotted a high sided trailer in front of me with a large mattress and bookcase not tied down. The weather was rough and it was easy to see that the wind at some point of the trip would lift both items out of the trailer with the potential for a bad accident. As I backed off to put some space between our vehicles along came a gust of wind and yes you guessed it the large mattress and bookcase took flight narrowly missing several cars, mine being one of them. Fortunately no one was injured but this got me thinking about how many times someone needs to see a message to actually ‘get it’. Of course there will always be the exceptions to the rule simply ‘don’t get it’ or ‘don’t think it applies to them’ but in general it takes many touches before a message hits it given target. 1. Is your marketing message clear, concise and to the point? 2. Does your marketing message educate or lead your customer down a chosen path? 3. Have you chosen a variety of different ways to get your marketing message in front of your customer? 4. Do you have a sequence in place to ensure your marketing message is seen often enough to have the desired impact? My little story highlights the importance of having your marketing message received. You see, because I had ‘got the message’ I automatically identified the potential problem and was able to drive defensively to avoid an accident. Share Your Philosophy, Tell Your Story, Connect With Your Customers. Come along and learn some terrific ways to leverage your personality and your values into your marketing message that creates a stronger connection with your customers and prospects.